Home baking buko coconut Graham Graham biscuit graham buko dessert graham recipe ingredients menu my recipe recipe special dessert special recipe sweets the rock's recipe A Special Graham 'Buko' Dessert! As promised, I will share with you my second recipe which I made last Sunday together with my corn flavored maja blanca! This time, let us "feel expert sa dessert.."! Yup, this is a Graham special dessert! But I made my own! 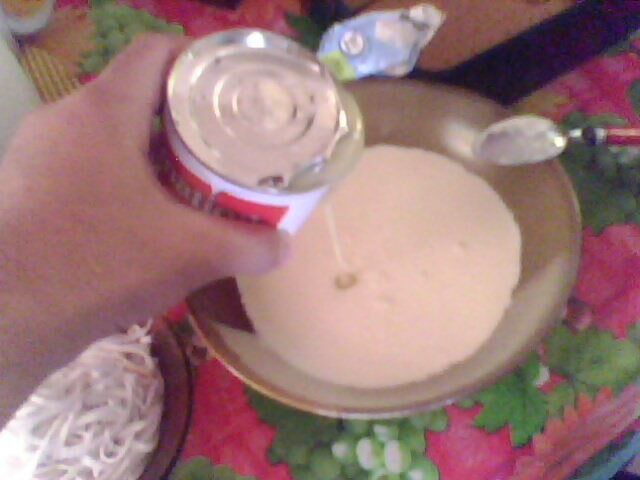 Since everyone of us were popular with the mango dessert using Graham biscuit, in my recipe, I used 'buko'! Well, let me share with you how I made it! 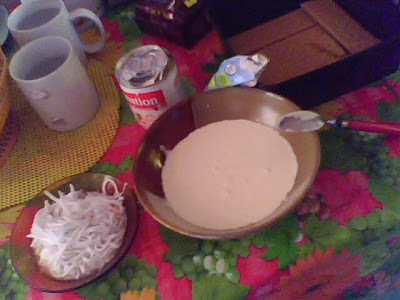 Of course, prepare all the ingredients! 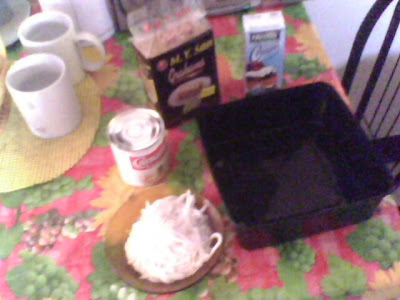 These were the Graham Biscuit (ang bida ng recipe), all-purpose cream, condense milk, and the 'buko' (ang special star ng aking recipe)! And also prepare all the utensils and trays to use! Mix all these ingredients in a bowl. Stir it well until the all-purpose cream and the condense milk combine as one! When they were already mixed, start now putting the Graham rectangular biscuits in the tray where you will put the mixture. Shape the rectangular biscuits in the bottom of the tray. These were serve as the baseline! Finished Product! Ready to Put in the Freezer! Now pour the mixture in the tray where you put the Graham biscuits. Shape it accordingly. This will be your first layer! 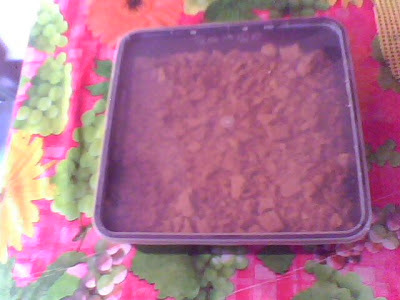 Afterward, put again another Graham rectangular biscuits on top of the mixture then pour another mixture on it! This is now the second layer! Do it repeatedly until you run out of mixture to pour! In my case, I came up with three layers. 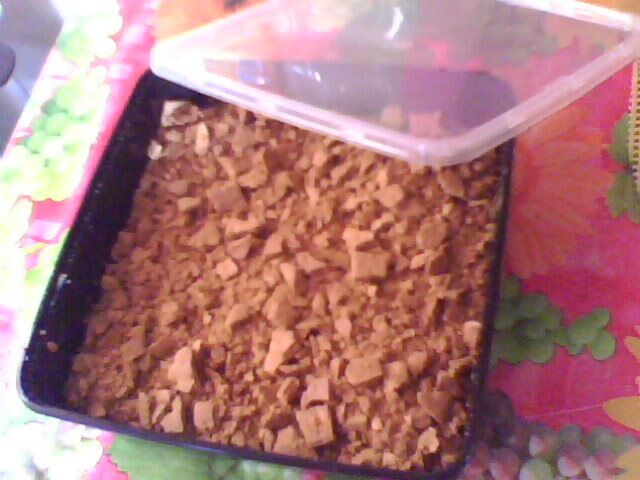 On the very top of my dessert, I put crushed of Graham biscuits. Yup, I patiently crushed the whole Graham biscuits and put it on the very top of my finished dessert! Now, we already had a so-called special Graham 'buko' dessert! The finished product was put in the freezer to froze! This Graham 'buko' dessert as well as the corn flavored maja blanca were all made in one Sunday afternoon! Oh, how great was that day! I made two desserts! Wow! this is my favorite! thanks for sharing. keep posting and God bless!